The French navy released one of the most amazing cockpit videos last week that you’ll ever see. The footage is not only incredibly vivid, but the editing and music ultimately create an amazing, relaxing experience. 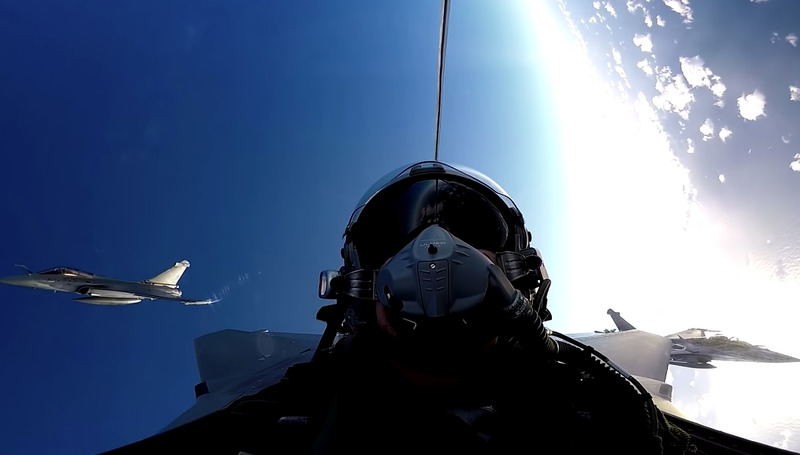 The video follows one French naval pilot in his Rafale fighter jet as he flies over the sea while flanked by two other Rafales. The video begins with a wide shot of the pilot’s Rafale, then cuts to him taking off next to one of the other jets. It follows the pilot through the clouds, on the edge of the earth and as he performs low passes by a cargo ship and aircraft carrier. The footage is not only incredibly vivid, but the editing and music create an amazing, relaxing experience. No small feat for a video about war weapons.